One of the first movies I saw that made me think about being an actor was Secondhand Lions. And one of my favorite TV shows was Wizards of Waverly Place. What those two have in common is an actress named Jennifer Stone. 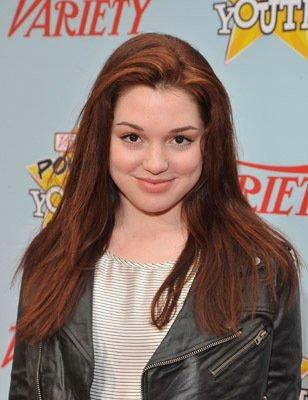 So when my acting coach, Nancy Chartier, said that one of her former students — Jennifer Stone — was coming to town to do a one-day acting workshop for kids and teens, I signed up. So I’m spending my Sunday with Harper Finkle — sort of. This is going to be fun! One of the things about taking acting classes with Nancy Chartier is that you never know who you will meet in class. There are all kinds of opportunities that come up — like meeting famous actors and actresses — but also to get lessons from casting directors, and movie directors, too. My grandma says that the road to Hollywood is paved with money — her money paying for stuff like this workshop. But she says it’s worth it because this is how you learn. Bet I lean a lot today! They usually take a group photo — and they always videotape us — so maybe I will have a photo of me with Jennifer Stone to post later. Hope so!